Pizza Hut – 50% off Continental Card When buying a Pizza Cheesy Bites Pepperoni (mix of vegetables and pepperoni). Get 50% on Continental Card to buy a Pizza Cheesy Bites Pepperoni (vegetable and pepperoni mix). Campaign Exclusive and not cumulative with others in force. Present the printed coupon. 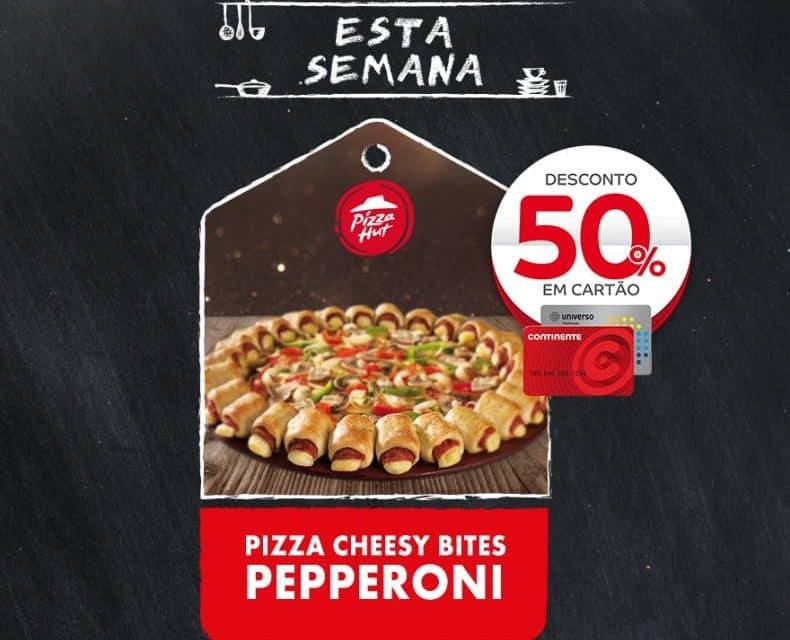 Home / Pizza Hut – 50% off Continental Card When buying a Pizza Cheesy Bites Pepperoni (mix of vegetables and pepperoni).